Too cute my kids would love this! And I’m a huge birthday party fan too! Looks like a great party.Thank you for sharing your great pictures. My kids also love to bounce! 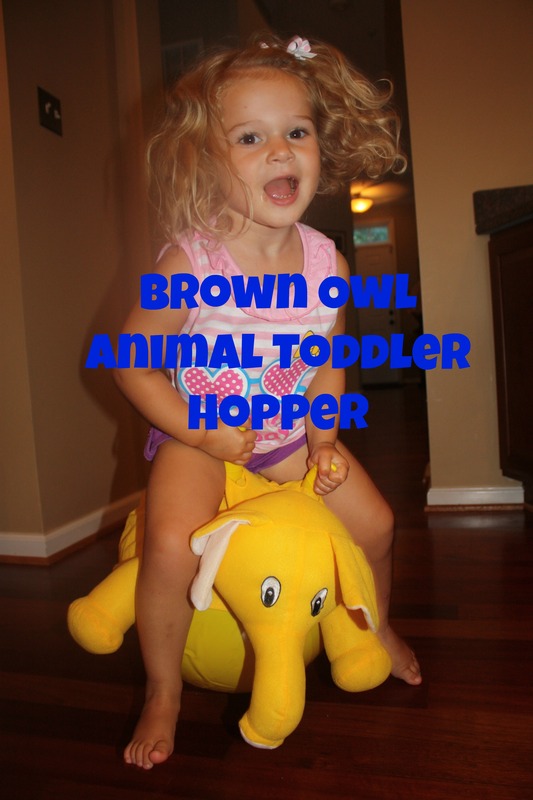 What an adorable little animal hopper! Wonderful party. Love that cake and looks like a great time for your little one. That looks so fun! We are planning a big 4th bday party this year! Happy Birthday! That cake looks amazing! I love the theme! What an awesome looking party! I truly love the cake! My daughter is 3 also so headed to check out the hopper! That Sully cake is so awesome! Looks like everyone had a great time! Bounce houses are the best places for birthday parties because the kids can run off all the cake and ice cream. Then, its nap time when its time to go home. 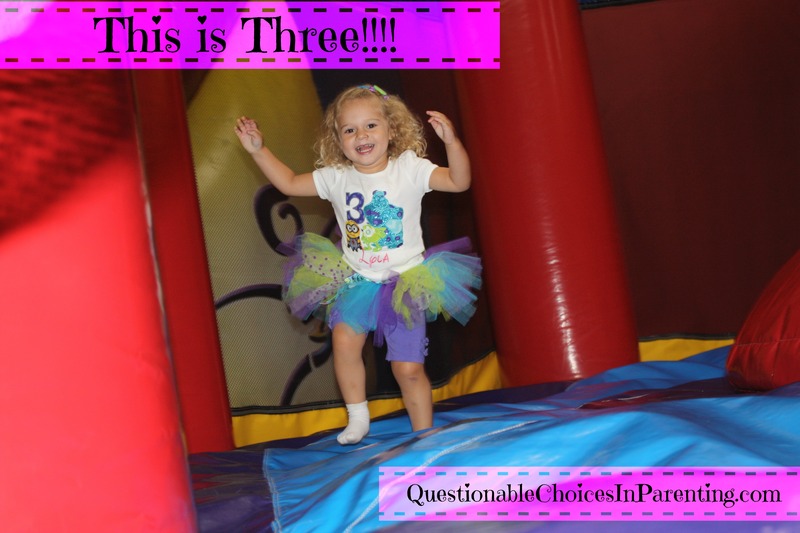 Its kiddos favorite place to have her party! She is TOO cute! And that cake? It’s AWESOME! 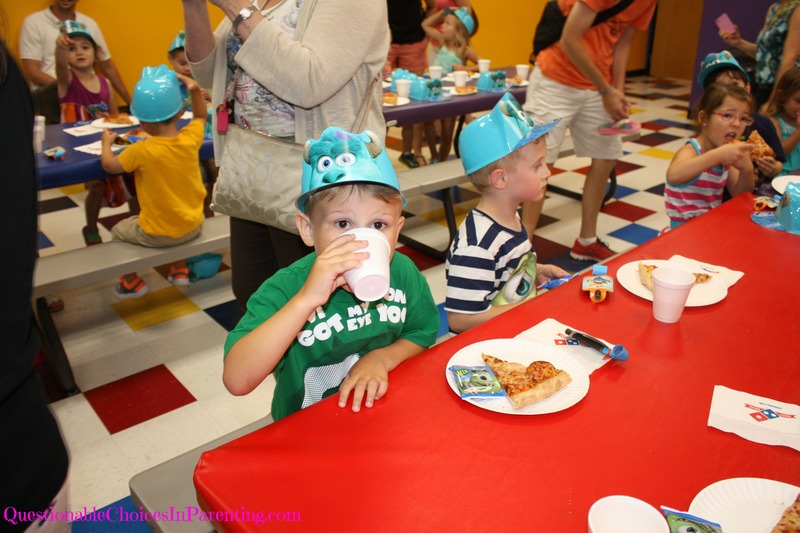 Looks like a great party.Thank you for sharing your pictures! I love the cake! OMG’osh!!!!! 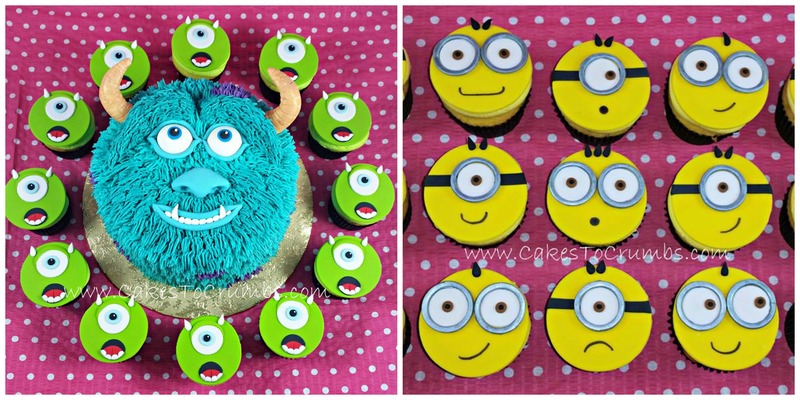 I am in LOVE with that Sully cake, and the other cupcakes!! Tooooo much fun! And that hopper!! I love it. My nephew is having a birthday soon and this looks like the perfect gift for him! What a fun theme! Those cupcakes and the cake look awesome!! My son is almost two and the party planning begins! I’m not sure where we wanna go or what theme to do! That party looked amazing. The cake was fantastic and I love how you dressed up with her in your shirt to make the theme. So adorable! aww what a fun party she had. I bet she loved all the attention her birthday brought her. 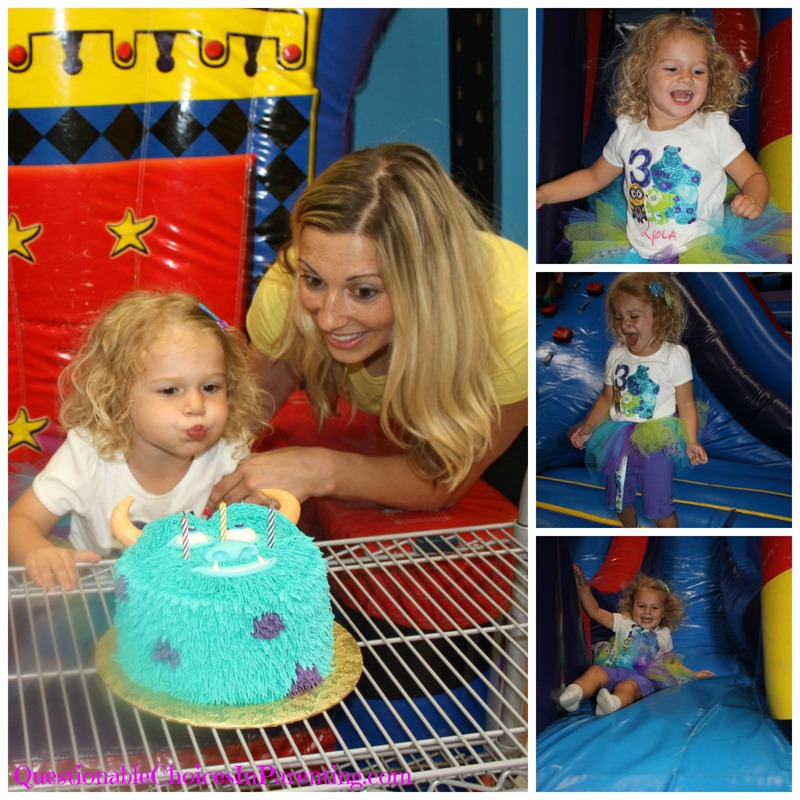 She was right – Pump it Up was a perfect choice for her party…love the cake! The hopper is so cute!! Looks like a fantastic party! I bet all the kids, and especially your daughter, had a fantastic time! Looks like a great party! What a cute hopper toy! What a really fun birthday she had. And OMG on those cakes. They are amazing! Happy birthday cutie!! What a fun party! ! OMG, you are so clever with the cake & food for the party! Looks like everyone including the birthday girl had a great time. Happy 3rd birthday! 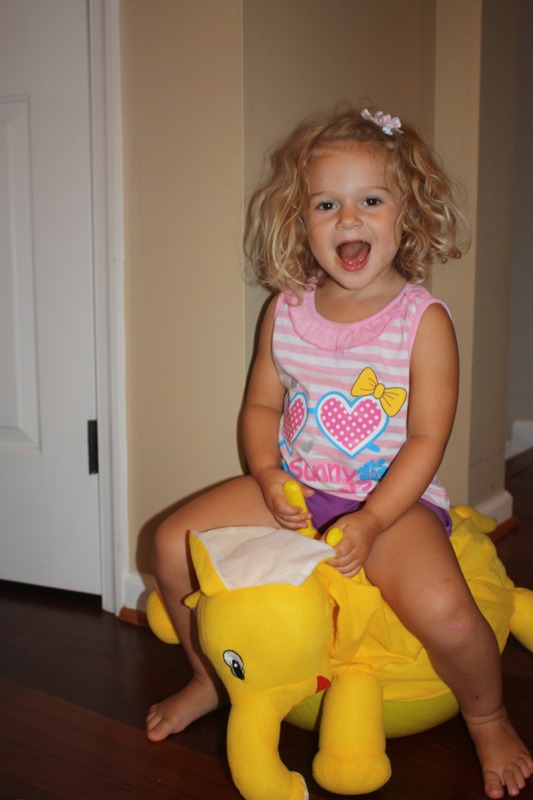 Looks like she had a blast, especially with Rocky, her Elephant Animal Hopper. Too cute! My kids love Pump It up too! My son would go nuts over that Sully cake! Monsters, Inc. and Monsters University are some of his favorite movies! OMGosh I LOVE that cake, it’s awesome. And the hopper looks fun. My daughter would love that. Those cakes/cupcakes look amazing! Also that animal hopper looks like so much fun! My son would love that. 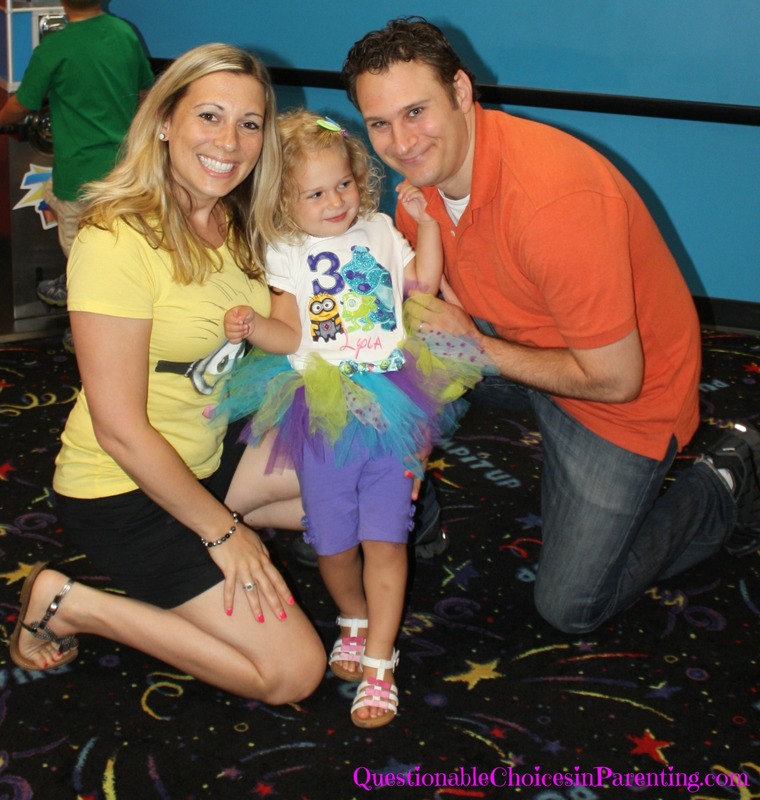 I wish I could have gone to the party– her tutu is adorable…and the cake too! Those cupcakes are too cute! What a fun birthday! Oh my goodness, she is a doll! What I would give to be able to wear a tu-tu everyday with no judgement from others! Looks like she had an amazing third birthday – those cakes are too cute to eat! What a fun day you made for her! Happy birthday to your beautiful little girl- 3 is such a fun age. I love the Monsters Inc theme! I love those cupcakes! My son is crazy about minions. He hasn’t seen Monsters, Inc., yet,but I’m sure he’ll love it too. What a cute little animal hopper. Her birthday was so cute too! I’ve heard of Pump It Up! I need to get the kids there. Looks like the birthday girl had a great time! Oh my gosh, this is the cutest birthday party ever. Those cakes are to die for. Awe….looks like she had a super fun birthday! Birthdays were always a special time for my girls. That is an awesome looking party! That cake looks awesome. My daughter would love the Carlos!!!! I love rocky the elephant!! Carlos the Frog, He is Rib-bit.